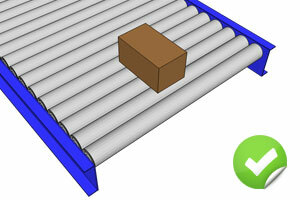 Gravity conveyors generally come in two variations, roller conveyors and skatewheel conveyors. 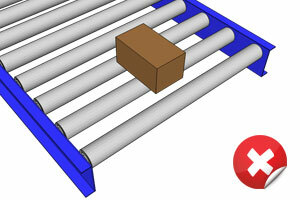 Which conveyor you require will depend on the type of product you need it for. Both have their pro’s and cons in regards to load carrying, price and flexibility. Given the nature of the design, skatewheel conveyors make an ideal economical light weight solution for moving primarily boxes and cartons. 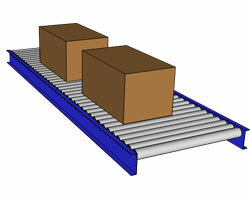 Products can be bigger than the width of the conveyor providing they are centered. How do I know what size gravity roller conveyor I need? 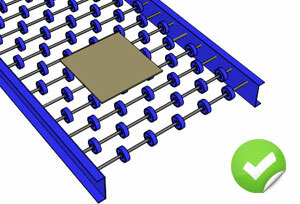 There are a few determining factors in working out what sort of gravity conveyor is suitable. Heres a bad example of a skatewheel conveyor, the product being conveyed will only ever be on 2 axles at once due to the distance between them which will cause the product to fall between. This example uses the same size products but now the axles are closer together which makes for much smoother product processing. The product will always been on at least 3 axles with 7/10 wheels underneath so it can’t fall off in any direction and remains flat and sturdy while in transportation. 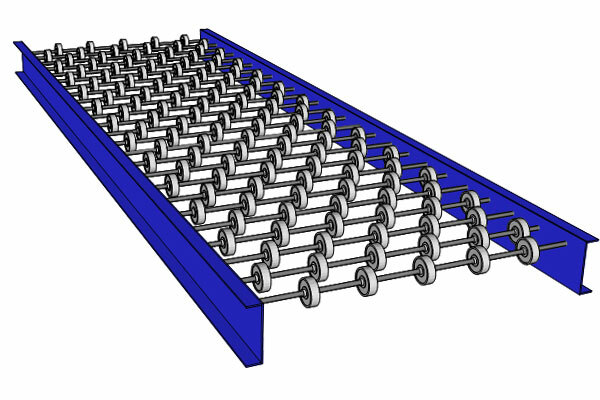 A gravity roller conveyor is essentially a row of individual rollers fastened to a frame. The rollers are free spinning and allows products to be either pushed down the conveyor by hand or the frame itself can be angled at a slight decline to allow products to move freely on their own. They are better suited for heavier loads than skatewheel conveyors as can be manufactured using heavy duty rollers/frames for even heavier load capacity. Given the nature of the design roller conveyors are ideal for a range of different products providing they are smaller than the length of the roller. They are suitable for products with uneven bottoms such as protruding edges/rims or uneven surfaces. They can of course also convey standard boxes and crates. 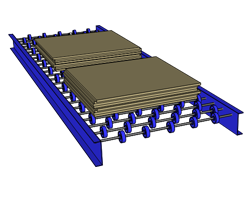 Heres a bad example of a gravity conveyor, either the product is too small for the rollers or the pitch of the rollers is too large, as you can see the product will only ever be on 2 rollers at any given time which will cause the product to tip between the gaps instead of smooth transportation. 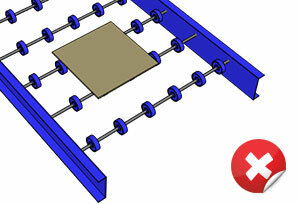 This diagram shows the same product but now the pitch is 52mm instead of 104mm, now the product is always on 3 or 4 rollers at any time and is unable to fall between the conveyor. This scenario would also work on a 78mm pitch or on smaller rollers. We can manufacture gravity roller tracks using the following diameter and pitch rollers. 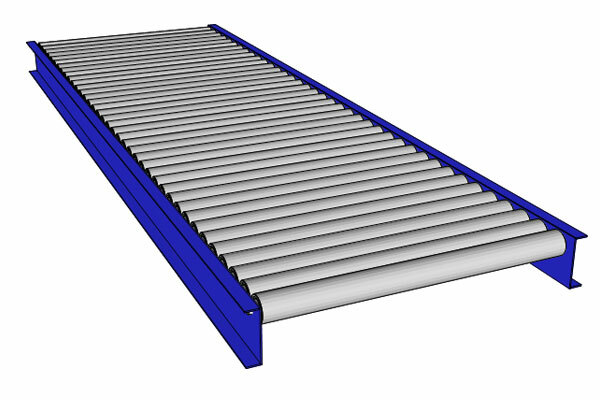 If your product suits a gravity roller conveyor, you can check one of the diameter pages down the side for max loading and roller widths, you can also visit the shop to purchase our most popular conveyors.